Find here educational books for kids including board books for babies, picture books for preschoolers and school age children and literature books that are enjoyable to read. There are also books covering history subjects such as ancient history and American history and books that help kids learn about geography. This board book tells the story of a bear cub called Sam and what he needs to go to bed. A beautiful bedtime board book containing truly beautiful illustrations. Children usually love trains and this is the story of a toy train and his long day of work, for example, carrying freight, traveling through mountains and valleys. This is the story of a bear who wakes up to find his cave full of various animals who found refuge from the cold outside. Children love animal stories and with its beautiful illustrations this board book is sure to capture their attention. In this board book, children learn about the various colors in a fun way. The book contains engaging photos and text that is easy to read. This alphabet book is a top seller which has sold millions of copies worldwide. The book introduces the concepts of letters, numbers and colors to younger children. Big Red Barn is probably one of the best farm books arounds. Children get to see farm animals and a barn, how the animals eat in the meadow and how they interact with each other. Clarence Goes Out West & Meets a Purple Horse is the story of a greenhom pig called Clarence who decides to take a vacation "Out West". The book contains nice illustrations of a desert ranch and the wild west. Doctor De Soto is a well-respected mouse dentist. De Soto accepts anyone excepts for cats and other "dangerous animals" as stated on his sign. But one day he accepts a miserable fox begging for treatment. This Dr Seuss book teaches children the alphabet. Each letter is featured with a beautiful illustration and text. THe book is a great way to introduce a child to the letters of the alphabet. A Dr Seuss classic and one of the popular children's picture books that can be read over and over again. This book is so enjoyable that it is a great way to get children to develop a love for reading. This is the beautiful story of a fireman who rescues Farmer Pig's cat and all the other animals in town. This animal alphabet book teaches children a great deal about animals including animals they don't usually hear of. The only thing in life Gerald wants is to dance. But his legs are thin and his knees are crooked and the other jungle animals make fun of him. Good Dog Carl is the captivating story of a dog called Carl and a baby left alone in the house with the dog. This is one of the popular children's picture books with hundreds of copies sold worldwide. Goodnight Moon is a book that every child should read or have read to them. This award winning children's picture book is a poem about goodnight wishes from a young rabbit. This is the funny story of various members of the Court trying to dislodge the King from his bubbly tub and battling toy ships. The oil paintings reflect the passing hours of the day. Sally goes to town, walking backwards, upside down. On the way she meets various animals (a pig, a dog, a sheep) and by the time she gets to town she can convince anybody into almost anything. This is one of the animal books for children that introduces kids to the letters of the alphabet by teaching them about dinosaurs. This is one of the top children's picture books and a best seller with over one million copies sold worldwide! 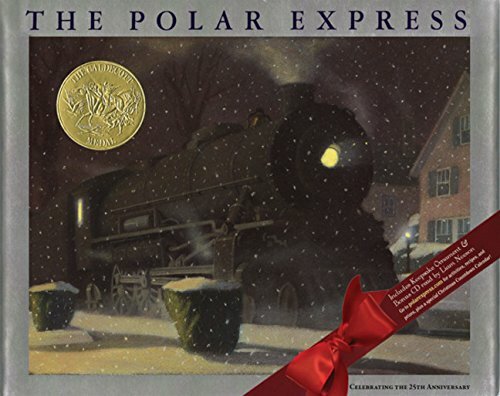 The Polar Express is a beautiful Christmas is one of the top children's picture books and a best seller with over one million copies sold worldwide! This picture book is a treasure. Boris is a scruffy and fearless pirate who cries when his pet parrot dies and who also finds a buried treasure. Captivating story and beautiful watercolor illustrations. This is one of the award-winning children's picture books and the story of a pig trying to save his neck. The book contains a lot of wisdom and speaks about how we should treat other fellow human beings. Charlotte's web is one of the top children's picture books and one of the best picture books of all time. It teaches children important lessons related to sacrifice, friendship, transformation and mortality. This book is about the relationship between a horse and a person and how a horse can change a person's life. Written by Marguerite Henry who is considered to have written the greatest horse tales ever told. Pete is a dog that eats almost anything: an accordion, an eggbeater, a glue stick. But Pete's mistress can't help loving him. This exquisite picture book is rich with beautiful gouache paintings. This fantasy novel is a children's classic and it is the story of a poor boy inside the fascinating chocolate factory of a chocolatier named Willy Wonka. This classic children's novel is about a boy named James who loses his loving parents and is forced to live with two cruel aunts, in a neighborhood where nobody likes him until he meets a strange old man. This fantasy novel sold over a hundred of million of copies worldwide. The series is set in the fantasy world called Narnia, a world of magic animals in which children are being transported. The incredible journey is the story of three pets who travel through the beautiful Canadian wilderness in search for their masters. It is a story of suffering, perseverance, courage and unwavering loyalty. The Lion, the Witch, and the Wardrobe is part of the Chronicles of Narnia and is one of the popular children's books. Four children during World War 2 are being transported to Narnia via the wardrobe. The Midwife's Apprentice is an award-winning children's book that takes place in medieval England. It is the story of a young girl who learns to make her own way in the world. The Sign of the Beaver is set in 18th century America. It is the story of early-settlers and of a boy living in the wilderness and covers themes such as survival, friendship and gratitude. This award-winning historical novel is about the life of a Japanese-American boy during World War II and the hardships that he endured at a time when Japanese-Americans were being sent to internment camps. This historical novel won many awards and is about the life of a young girl in a village in New England in the 19th century, how she helps an escaped slave, how she deals with the death of her best friend. A Wrinkle in Time is a science-fiction novel that won many awards. It is the story of a young girl's father disappearance, her father being a government scientist working on a mysterious project. The story takes place during the time of the Great Depression in the 1930s and is about a girl from Chicago who goes to live with her grandmother in the country. Across Five Aprils is a historical novel set in the Civil War era. It is the story of three brothers and cousin which are split, as one brother joins the COnfederacy and the other three join the Union Army. This award-winning illustrated book is set in 13th century England and is about the adventures of a young boy in medieval England. Readers get to understand medieval culture and society. This book is a classic and is the tale of a boy's journey on the Mississippi river. The book depicts people and places along the Mississippi river in the 1830s. This story takes place in the 1930s, right in the middle of the Great Depression. Bud looses his mother and becomes an orphan and goes to look for his father. Crime and Punishment is a philosophical novel about the mental anguish of an ex-student who plans to kill an unscrupulous pawnbroker and to use the stolen money to perform good deeds. The story is about an orphan named Oliver Twist who lives a miserable life in a workhouse and who then escapes to London where he gets drawn into a life of crime. Written in the 18th century, Robinson Crusoe is the fictional autobiography of a man who spends years on a remote tropical island. Shoeless Joe is a book that was made into a film called Field of Dreams. It is about baseball, dreams and what is truly American. The Grapes of Wrath is one of the books that kids should read. It won the National Book Award and the Pulitzer Price. The book is about a poor family of farmers during the Great Depression. This book won the Caldecott Medal and is beautifully illustrated. It is about the life of Hugo who lives in a Paris train station and about his survival skills. This book was even made into a movie. The Little Prince (Le Petit Prince in French) is the most read and translated French book, selling over a million copies per year worldwide! It is the poetic tale of a prince fallen to Earth. The story covers themes such as the strangeness of the adult world. The Red Badge of Courage is a book about the American Civil War. The book is known for its realism. The story is about a young Union Army soldier who flees the field of battle. This classic of English literature is set in the farmhouse in Yorkshire, England and deals with the themes of jealousy and vengefulness and their destructive effect. 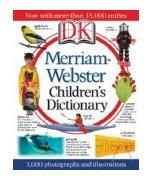 This dictionary is one of the most popular children's dictionary. It contains thousands of definitions and beautiful illustrations and photos. This dictionary is designed for middle school age children and contains over 50,000 definitions, synonyms, antonyms, etymology of words, pronunciation guides and even various maps. This encyclopedia contains an amazing amount of information and beautiful illustrations and can be used by school children as a resource. The Childcraft Encyclopedia is an encyclopedia designed for children containing 15 volumes covering everything from literature to science and full of engaging images and illustrations. 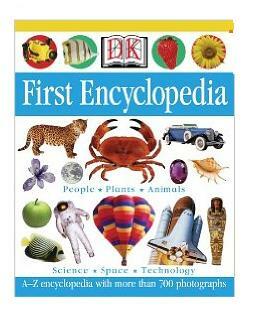 The DK First Encyclopedia is an excellent first encyclopedia for children for children full of information and beautiful illustrations. This dictionary has over 700 pages of world history going from prehistory to modern times and contains lots of interesting history facts including key events in history. The children's encyclopedia focuses on US history and is packed with information, maps, beautiful pictures and starts from 1,000 A.D. to today. This educational book is filled with information and beautiful illustrations of Ancient Egypt and comes with a CD and a poster. This easy to read book is full of illustrations and information about Ancient Rome. It also come with a CD and a poster. A History of US contains 11 volumes that cover the entire history of the US. A Medieval Feast tells the beautiful story of a lord and lady and their servants preparing the manor for the King's arrival. The book covers 400 years of US history told through 100 tales. This book full of illustrations, photos, documents and maps covers 1,000 years of history from the sacking of Rome to the end of the 15th century. This book is packed with information about medieval times, contains hundreds of interesting illustrations and comes with a CD and a poster. This book covers 1,000 years of Roman history and is focused on the technology used by the Romans and their scientific achievements. This illustrated book covers Ancient Greece from the Bronze Age to the time of Alexander the Great and comes with a CD containing images. This book contains lots of fascinating facts about Ancient Egypt, the Pharaohs, the Book of the Dead and daily life back then. This book contains lots of information, images, and interesting facts about the Civil War and comes with a CD and a chart. This best-selling book contains lots of beautiful illustrations and tells kids about countries and cultures around the world. It also teaches them about terminology used in geography. This excellent book teaches about maps, the various kinds of maps and the information that they provide. It also contains many engaging activities such as mapping a neighborhood. This National Geographic book contains stunning dinosaur illustrations and is packed with information and interesting facts about these creatures that used to roam the Earth. With this book, children become paleontologists. They look at fossils, plants and even use a microscope to analyze and identify dinos. This dinosaurs' encyclopedia contains lots of information and engaging illustrations and is organized by periods so that kids can understand how dinosaurs evolved.